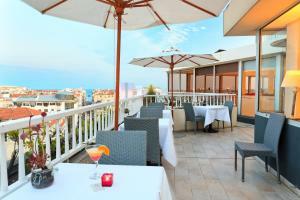 Located in Nice City Centre, this 4-star hotel is 600 metres from the Promenade des Anglais. The seasonal swimming pool and hot tub on the rooftop offer panoramic views of the mountains. 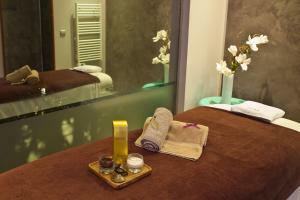 The spa at hotel Splendid Nice features a hammam and guests also have access to the fitness centre. 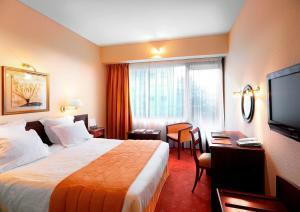 Guest rooms are air-conditioned and equipped with a minibar and a flat-screen TV. 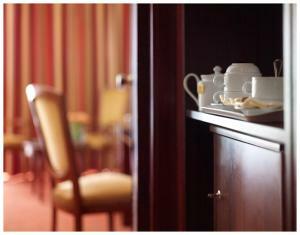 All rooms at the Splendid are non-smoking and include Wi-Fi access. 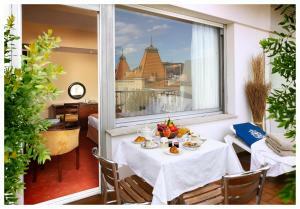 Most rooms feature a balcony and some have a spa bathtub. Chef Annie Lamand serves organic cuisine in the restaurant with panoramic views of the sea. Guests can enjoy drinks and snacks in the bar. A buffet breakfast is also served every morning. 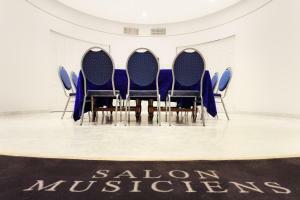 With private parking on site, the hotel is just 7 km from Nice-Cote d’Azur Airport. Casino Ruhl is a 3-minute drive away. Please note that the hot tub and swimming pool are open from April to October.